September sees luxury seafaring folk from all corners of the world sail into Monaco to celebrate the quintessence of the superyacht lifestyle. The Monaco Yacht Show displays 120 extraordinary one-off superyachts, of which 40 new launches are unveiled in a worldwide debut. In addition, it’s the place for the yachting community elite to meet, socialize and do business. For the second year in a row, Preciosa is pleased to be designing the MYS awards that will be presented on the eve of the event. 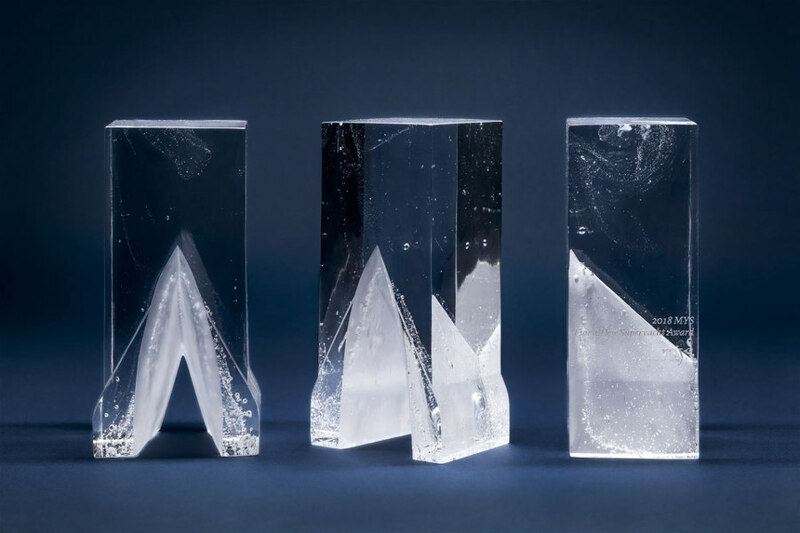 Preciosa designer Daniel Szöllösi took inspiration from the wake of a yacht skimming across the sea to create this strong and dynamic handcrafted crystal award, designed with a mix of polished and bubbled glass. As his day job at Preciosa involves a lot of lighting design, Mr. Szöllösi quickly discovered some pros and cons between what he normally does and creating an award. The awards will be presented at the MYS Inaugural Gala Party. Four superyachts exhibited at the MYS will be awarded in the following categories: the MYS/RINA Award; the MYS Interior Design Award; the MYS Exterior Design Award and the MYS Finest New Superyacht Award. For the fourth year in a row Preciosa Lighting is setting sail for Monaco, proud to be a partner of the exclusive Monaco Yacht Show. We will be introducing a new interactive installation for yachts, showcasing our elite Maritime Programme as well as a range of lighting solutions designed especially for unique sea conditions. In addition, visitors to the Upper Deck Lounge can enjoy a selection of both historic chandeliers and contemporary pendants. This is the third year in a row Preciosa is one of the exclusive Upper Deck Lounge partners.